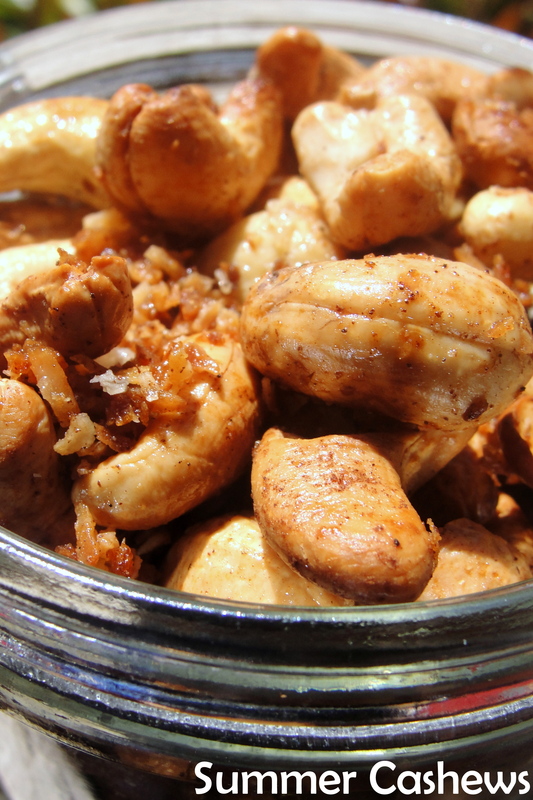 Roasted nuts aren’t just for the holidays, summer is a great time for cooked nuts, too! Just (insert joke here about sunburned crazy neighbors, relatives, reality show stars). When the temperature starts to rise, so does the frequency of dinner salads. Nothing tops a salad better than roasted nuts! These guys are especially yummy mixed in yogurt or even on top of ice cream. Mix the ingredients together and roast for 10 minutes at 350 degrees, stir half way through. That’s it! These nuts are not overly sweet, so sprinkle sugar (before roasting) if you are creating a dessert type nut. Summer Cashews would mix well with dried mango, pineapple or banana. They would also be heavenly with some dark chocolate chips!